In his first tweet of 2018, President Donald Trump rebuked Pakistan for its “lies and deceit” in its partnership with the United States over the last decade and a half, accusing the country of harboring militants within its borders that undermine U.S. operations in Afghanistan. The tweet highlighted issues within the administration’s 2017 Afghanistan and South Asia Strategy as well as longstanding concerns within the U.S. government over Pakistan’s reliability as a security partner. Through both private and public channels and across U.S. administrations, Washington has noted its concerns of Islamabad playing a “double game” of partnering with the United States while simultaneously supporting anti-U.S. militants. Pakistan, on the other hand, holds up the loss of over 60,000 lives and $126 billion in damages due to terrorist attacks as the price it has paid for allying with the United States since it first launched its post-9/11 War on Terror. After years of ad hoc and flaccid engagement with the Indo-Pacific region, the United States is finally back, and the effects are already being felt. For far too long, a resurgent China was allowed to create facts on the ground and at sea which challenged the regional, rules-based order that had underpinned the international system since the end of World War II. Despite the Obama administration’s talk about a “pivot” and “rebalance” to Asia, Washington was largely disengaged from a region that, during the same period, had continued to gain in importance. Unopposed but by a handful of small states, China was able in 2013 to unilaterally declare an Air Defense Identification Zone (ADIZ) in the East China Sea, and later on to “occupy” almost all of the disputed South China Sea and militarize its presence there. By the time the world finally awakened, it was too late: a new status quo had been created at sea, one which even an international court ruling had been incapable of reversing. Although rhetorically grounded under the rubric of a “win-win” philosophy, Xi Jinping’s Belt and Road Initiative (BRI) poses a significant long-term strategic threat to U.S. interests that now spans across the globe. Now in its fifth year of implementation, there is enough evidence to suggest that BRI is much more than a liberal economic development plan. That analysis indicates that BRI could be more analogous to a neo-colonialist and imperialisticChina, under the guise of an economic plan. The fact of the matter is that BRI is part of Xi Jinping’s grand nationalistic strategy to ensure that he and the Chinese Communist Party (CCP) remain in power. BRI provides Xi with the means to pursue “[t]he great rejuvenation of the Chinese nation” and help China’s ambitions of regional, if not global, hegemony. Keeping strategic waterways throughout the Indo-Pacific region “free and open”—a key Trump administration objective—is getting harder. 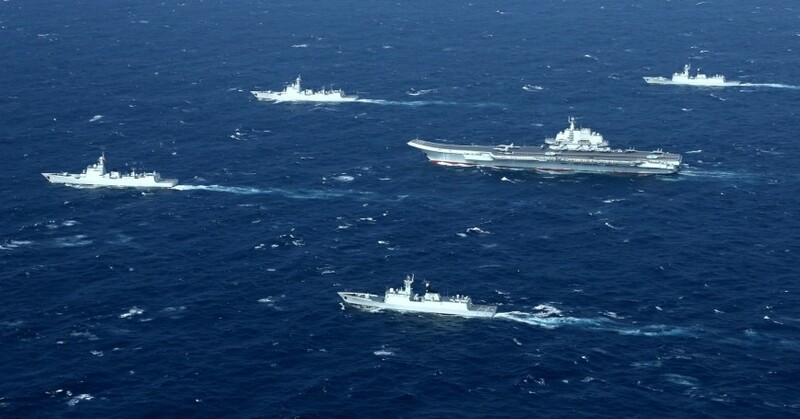 China continues to militarize the South China Sea and bully neighbors that have competing maritime claims. Successive U.S. administrations have tried to use regional forums, especially the Association of Southeast Asian Nations (ASEAN), to push back against Beijing's excesses, largely without success. The Trump administration's resurrection of the Quadrilateral Security Dialogue offers some hope. Known as “the Quad,” it is an informal dialogue among four democratic countries—the United States, Australia, Japan, and India—that quietly coordinate security policy and military activities with China in mind. The Quad fell apart in 2008, however, because of shifting domestic politics in Japan and cold feet among the other three. Even in its revised form, though, if steps aren't taken to broaden the group, it's in danger of failing to achieve its core mission. What is China's political and diplomatic, economic, and military engagement with the Developing World, region by region? What states in each region does China consider pivotal to its security and external relations? What are the consequences of the Chinese strategy toward the Developing World for the United States? Rather than a superpower standoff, the world is more likely to be heading toward an international system led by four powers. In this scenario, the US, China, Russia, and Germany dominate their respective regions while seeking the upper hand in international negotiations. It is often said that the US and China – superpowers at economic, geopolitical, and ideological loggerheads – are heading toward a new cold war. And the rhetoric – at least from one side – has come to resemble that of Winston Churchill’s 1946 “Iron Curtain” speech, one of the inaugural events of the Cold War. Just this month, US Vice President Mike Pence accused China of predatory economic practices, military aggression against the United States, and attempts to undermine US President Donald Trump. Over the last couple of years, the China-policy debate in the US has begun to reflect more realism, with a growing number of voices recognizing China’s ambition to supplant its American benefactor as the leading global superpower. But is it too late to rein in America's main geopolitical rival? A long-overdue shift in America’s China policy is underway. After decades of “constructive engagement” – an approach that has facilitated China’s rise, even as the country has violated international rules and norms – the United States is now seeking active and concrete counter-measures. But is it too late to rein in a country that has emerged, with US help, as America’s main geopolitical rival? Over the past few weeks, Jamal Khashoggi has been valorized and cherished. In the aftermath of the dissident Saudi journalist’s murder, pundits writing on the Arab world and the wider region have remembered others who were even more outspoken and critical than he was. And they have been regarded as heroes, particularly those who have pushed for fundamental freedoms and rights, irrespective of whether such freedoms are ridden roughshod over by Saudis or Iranians, Emiratis or Qataris, Egyptians or Turks. Army chief of staff Gen. Ray Odierno issued the marching orders in the fall of 2013. Some of the Army’s brightest officers would draft an unvarnished history of its performance in the Iraq War. A towering officer who served 55 months in Iraq, Gen. Odierno told the team the Army hadn’t produced a proper study of its role in the Vietnam War and had to spend the first years in Iraq relearning lessons. This time, he said, the team would research before memories faded and publish a history while the lessons were most relevant. It would be unclassified, he said, to stimulate discussion about the intervention—one that deepened the U.S.’s Mideast role and cost more than 4,400 American lives. He arranged for 30,000 pages of documents to be declassified. For nearly three years, the team studied those papers and conducted more than 100 interviews. It is hard to think of a more pointless tragedy than the Saudi murder of Jamal Khashoggi. Killing a decent man for making legitimate criticisms and justifiable calls for reform has wasted a meaningful life for no apparent reason and has done immense harm to U.S. and Saudi relations in the process. It has deeply compromised U.S. faith in Saudi Arabia's leadership in the worst possible way, and it threatens to divide the U.S. and Saudi Arabia at time when both nations need to improve their strategic cooperation to bring stability to the Gulf region and deal with Iran. At this point, there is no way to avoid a long and painful effort to determine all the facts surrounding Khashoggi's death and establish the level of responsibility for all of the Saudis involved. Anything approaching a cover-up will simply create a climate of suspicion and distrust that will last for years. It is one thing to try to ignore some of the details in a failed operation against a violent terrorist or a hostile intelligence operative, but there is no way to make people forget what must be one of the most stupid and cruel intelligence blunders on record. 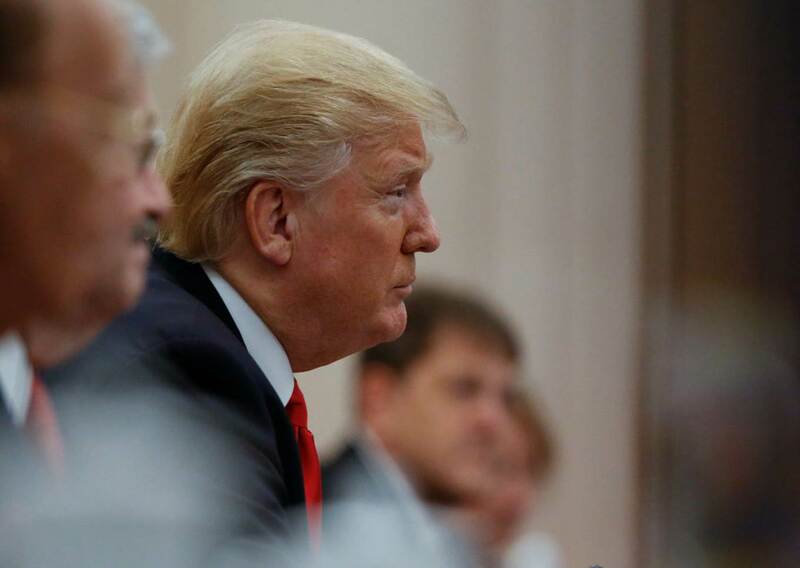 President Donald Trump’s proposal to pull out of a major U.S. arms control agreement with Russia is not just about Moscow, or nuclear weapons. The move also clears a path to boost America’s conventional forces in China’s backyard, according to arms control experts as well as current and former administration officials. The Intermediate-Range Nuclear Forces (INF) Treaty, signed in 1987 by U.S. President Ronald Reagan and Soviet General Secretary Mikhail Gorbachev, prohibits the use of nuclear and conventional missiles with ranges between 500 and 5,500 km (300 to 3,400 miles). 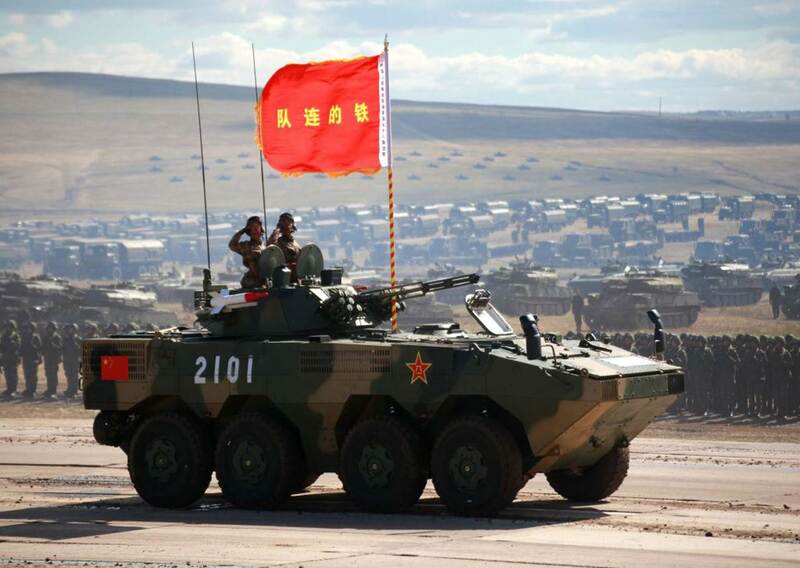 But since China has never been a signatory, it has been able to build up a vast arsenal of conventional weapons that now threaten freedom of navigation in the region, such as the DF-21 “carrier killer,” experts say. This report makes clear that we are living in a world becoming rapidly more dangerous, with intensifying challenges from state aggressors who flout the rules, terrorists who want to harm our way of life and the technological race with our adversaries. The MoD have been alerted to the devastating prospect of a “space-based weapons systems” with nuclear capabilities as early as 2050. In response to mounting criticism from consumers, citizens, and lawmakers, Facebook is pursuing a public relations blitz. The media giant wants to change people’s perceptions about how it is handling the scourge of misinformation and concomitant threat to elections presented by its websites and apps. Enter the “war room.” Facebook invited journalists from a number of publications—Fortuneincluded—to visit a cramped conference room on the company’s Menlo Park campus inside which a squad of 20-or-so employees is tasked with valiantly defending democracy around the globe—from the U.S., to Brazil, and beyond. The walls and desks are cluttered with video screens and computer monitors. Around them, Facebook’s freedom fighters huddle, clattering away on their keyboards, stemming a tide of malicious, politically-motivated influence campaigns. 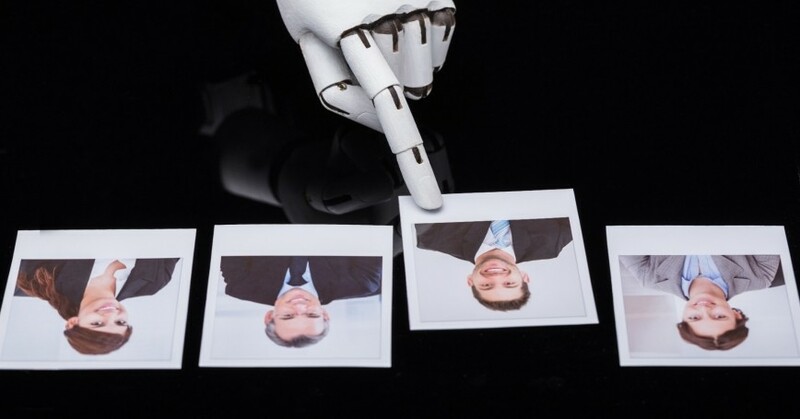 The conversation about unconscious bias in artificial intelligence often focuses on algorithms that unintentionally cause disproportionate harm to entire swaths of society—those that wrongly predict black defendants will commit future crimes, for example, or facial-recognition technologies developed mainly by using photos of white men that do a poor job of identifying women and people with darker skin. But the problem could run much deeper than that. Society should be on guard for another twist: the possibility that nefarious actors could seek to attack artificial intelligence systems by deliberately introducing bias into them, smuggled inside the data that helps those systems learn. This could introduce a worrisome new dimension to cyberattacks, disinformation campaigns or the proliferation of fake news. Maj. Jamie Schwandt’s recent article “The Military Decision-Making Process Is An Inflexible Mess. Here’s How To Fix It” advocates abandoning the Army’s current planning process, but provides no actual alternative. When he does attempt to interject concepts, he advocates a dangerous disregard for detail, coordination, and understanding planning. His examples do nothing to support his point and in some cases call into question his understanding of operational planning. He takes us on a tour of successful World War II commanders, as proofs that MDMP is not viable, and finally settles on the magic of the OODA loop. Ultimately, it is his own inflexibility of position regarding MDMP that prevents him from viewing it as a vital tool (among many) that enables many of the concepts he seeks to replace it with. The growing “judicialisation” of conflict should concern Britain, just as it concerns me. “Lawfare”, as it’s also known, has resulted in many British soldiers being accused in court, sometimes decades after the events in question have taken place. 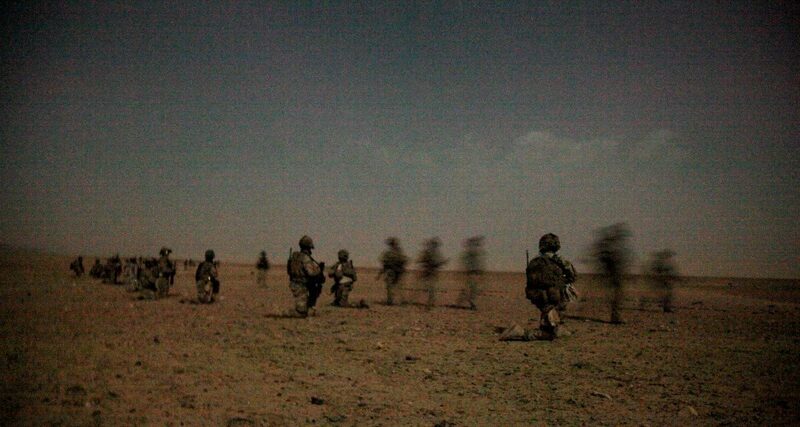 The problem is increasing friction between the two main legal frameworks within which military operations take place. On the one hand, under the Geneva Convention (which codified the law of armed conflict) lethal force is allowed as a matter of first resort against a clearly identified enemy. On the other hand, under the European Convention on Human Rights (ECHR), lethal force is to be used only as a last resort and only in exceptional circumstances. What information-related practices or capabilities have U.S. allies employed effectively, and which could the U.S. Army adopt? What information-related practices or capabilities have adversaries or potential adversaries used effectively, and which of these could the Army adopt? What are adversaries or potential adversaries doing in the information environment that the Army cannot consider doing because of ethical or legal constraints, and which of these should it be most prepared to counter?